Images of dragon blood elixir are more common than previously thought, although they are invariably mislabeled in museums and archives. Several images are presented below. This image is from a Southern Italian medical text, cira 1250. This text is possibly a copy of a 6th century text, now lost. 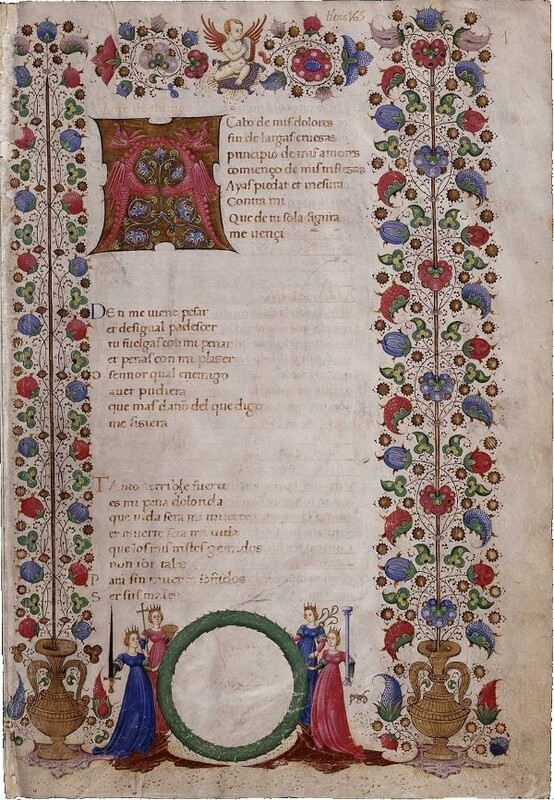 The above image is from a songbook written about 1460 in Naples. Notice the wreath near the bottom of the image. 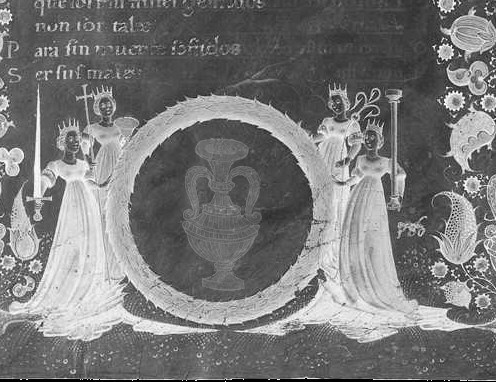 Under normal light the center is empty, but under infared lighting an image of an elaborate vase appears. It is likely that this is an image of a flask used to store dragon blood elixir, and was later scraped from the parchament, leaving only the ghost image.